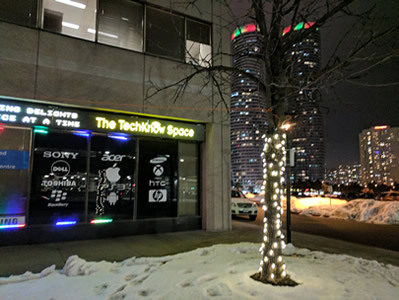 Located in what may be the most convenient location in Mississauga on City Centre Drive, TechKnow Space offers the most competitive phone repair prices around. The best part is their 1-hour phone repair service that will have your phone up and running in no time - and you can even kill some time at the mall while you wait. This place is as advertised. They promised a 1 hour turn around time for my cracked screen and they had it completed on time as promised. In general were friendly and professional. Great service and convenient location, I will be returning here if the need arises to fix any other items. Thanks Zarak, for your kind input....much appreciated. Truth in advertising and managing expectations is what we live by! We look forward to seeing your friends and family visit us for any repair needs....going forward. 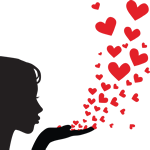 Highly recommend it, professional and efficient service - I will return. My iPhone screen cracked a day ago and I had no idea where to go to get it fixed. I dreaded the thought of giving up my cell for a few days to get it repaired. I considered buying a new phone (in order to avoid being "phoneless" for a week) but decided to complete a google search and find a place that can fix my cell at a reasonable price and within a reasonable amount of time. I found these guys on google and I'm glad I did! During my initial call, the staff person was friendly and I decided to attend the Mississauga location. When I attended the store, staff were professional and friendly. They replaced the screen in less than 15 minutes! I attended with my two year-old and getting this done - on the spot- in less than 15 minutes was a plus! They were very accommodating to my two year-old as we waited and they also helped me with picking out a case cover (which I'm very happy with). Price was reasonable and my phone is good as new , location/hours were also convienant. The staff is kind, and the service is at times better then Apples. Prices are competitive, too. Highly recommend! Thanks Milan. Apple excels at many things. The TechKnow Space excels at bringing dead and damaged devices to life. 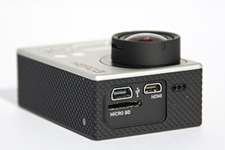 Check out our super-patented “Digital Device Magic Machine” in the video above!!! Great service , very quick and well executed . I had replaced the screen myself once before and it was a major pain . It took me 3 hours, almost gave up and ultimately , I did a poor job. I don't know how they managed to do this so quickly and perfectly . They must have a man with the worlds smallest hands back there . Thanks Kosta,! We do have a genius with small hands but he is certainly not Mr. “T---P” ! 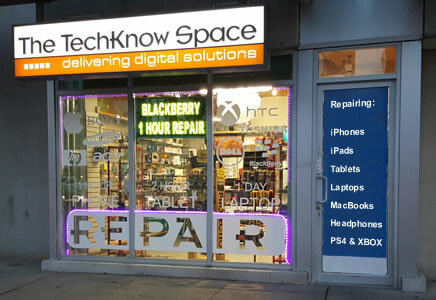 These repair services are routine repairs available at TechKnow Space (and most other repair shops). We carry parts in stock for most devices and component replacements are typically done in less than an hour with no apppointment needed. Walk in anytime and walk out less than 1 hour later with your professionally and expertly repaired device. These services require specialized knowledge and technical skills involving the use of advanced tools and methods like microscopes and micro-soldering. The TechKnow Space has been providing these advanced services since 2006. Find your lost and deleted files, get data back from you damaged flash drive, reformatted hard drive or memory card. Whether your device got splashed, took a wine spill, went swimming, got dropped in the toilet... ... however it got wet! The main logic board is 'brain' of the device controlling all other functions. When a logic board is damaged your device may glitch or act strangely. A device that doesn't power on requires tests and troubleshooting to determine the root of the problem. The underlying cause could be any of battery, connection, switch or button, and even logic board problems. Viruses, trojans, worms, backdoors, hacks and other malware removal, cleansing and sanitizing solutions. We are the original 1 hour repair experts!- the very first walk in smart phone repair store in Canada - over 200,000 repaired. We only use brand new parts of the highest quality. Repairing Samsung Galaxy phones and tablets S & A series and Note - trained Samsung technicians. Expertly repaired using manufacturer supplied tools and processes. 2 Hour iPad touchscreen replacement. We have been repairing iPads since their release. Come in and get your iPad expertly fixed while you wait?! We are MacBook Repair Central! Repairs completed in 2 Hours - All parts in stock. MacBook Pro, Air and Retina models. We service older models that Apple Store will not. We offer a wide range of device services and repairs, including component replacement, hardware repairs, data recovery, backups, malware removal, and software installation. We have been serving the GTA since the birth of the smartphone. Starting with the Blackberry in 2006, and continuing with the Apple iPhone in 2007, we have been repairing all smart phones that have been released each year. As digital products permeate our lives and software increasingly powers solutions on these hardware platforms, we are preparing and skilling ourselves up to remedy hardware and software products in the domain of IOT technologies, digital health, digital home, digital auto, and digital androids!! Our technicians have a combined experience that adds up to more than a 100 years, and expertise and certification in repairing all brands, with training provided by vendors like Samsung, Blackberry and others. Technicians are adept at using sophisticated tools like digital microscopes, ultrasonic baths, and rework stations, among others. 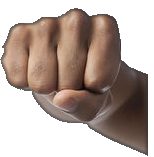 We have developed in-house custom software systems that allow for a hi-touch and low-friction customer repair process that speeds customer service from intake of devices, routing for repairs to our technicians, delivery of repaired devices to customers for testing, and finally payment from customers for the repair services. Over 70% of our business is from “Repeat” or “Referral” customers. We work assiduously to make the remaining 30% our “Happy Customers” (see our videos). We trust this 30% will then turn into our "Repeat" customers, while referring their friends, family and colleagues, to help expand The TechKnow Space customer family! Our repairs and remediation of damaged devices span all hardware and component replacement that live on these electronic devices. We update and install software solutions and upgrades for any software problems or code corruption the devices may experience. In addition to the vanilla hardware repairs and replacement, we also provide more sophisticated solutions like remedying liquid-damaged devices, data recovery, power issue resolution, and even logic board repairs using sophisticated tools like rework stations, digital microscopes and ultrasonic baths, among others! Trust the experts at The TechKnow Space for all your repairs including the challenging problems no one else can help you with. Over the years we've kept a record of our customers, inventory and repairs. We'd like to share our experience & insight and help provide you a better understanding of what we do daily. Techno, teckno, tekno, techkno, tek kno, teck no, tecknow, teck now…. 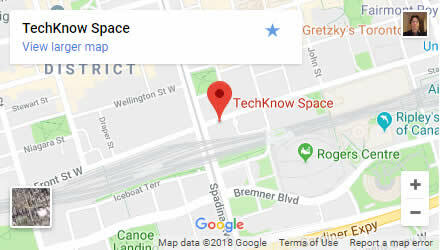 We are the one-and-only TechKnow Space! The SPACE where TECHnology and KNOWledge converge to deliver digital solutions! We're rocking the cradle in the centre of the entertainment, business and fashion districts near Toronto's waterfront. Our original location, which has been open since 2006, is still serving thousands of customers every year. Within walking distance from Air Canada Centre, Hockey Hall of Fame, the Rogers Centre and the CN Tower. Its a short drive up from the Gardiner Expressway, a 10-minute walk from the Union Station or a 5-minute walk from the TTC street-car & bus stops. Proudly serving customers from around the GTA, including Etobicoke, North York, Mimico, Long Branch, North York, Liberty Village, Scarborough, Leaside, Parkdale, and Weston. Located at the crossroads of Square One, one of the largest shopping malls in Canada and the largest mall in Ontario, Mississauga City Centre, Celebration Square, the entertainment and business district, and the Marilyn Monroe Buildings. Near Hurontario exit from HWY 403 and Bus Terminal for both GO and Mississauga Transit, we are conspicuously visible across the street from Square One Shopping Centre (opposite the Walmart Store and Mr. Lube + Tire). We have free parking and a comfortable lounge with free Netflix, WiFi, popcorn and magazines. 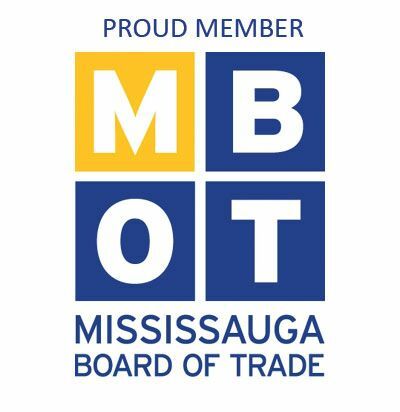 Proudly serving customers from Mississauga, Oakville, Burlington, Port Credit, Erin Mills, Streetsville, Cooksville and Lakeview. 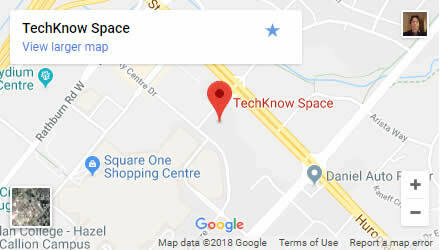 © 2006-2018 The TechKnow Space Inc.